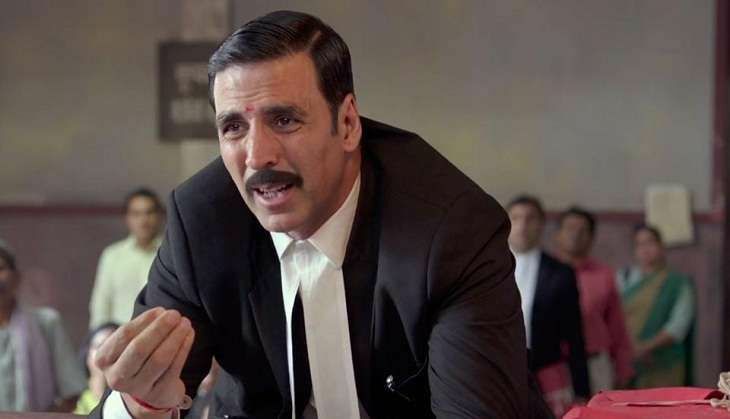 Home » Bollywood News » Jolly LLB 2 Box Office Prediction: Will this Akshay Kumar film emerge a theatrical hit? Jolly LLB 2 starring Akshay Kumar, Saurabh Shukla, Annu Kapoor and Huma Qureshi has released on nearly 3400 screens in India. The film has been in news ever since the trailer launch in December and there has been a good pre-release buzz around the film. The first theatrical trailer threw some light on the comic elements of the film whereas the second one was intense and gave an insight about the emotional crux. The music of the film however failed to help in carrying the buzz forward as none of the song managed to strike the chord with audiences. Jolly LLB 2 appeals to all section of audiences' right from the classes to the masses. The movie is devoid of any sort of vulgarity and has a perfect blend of humour and emotions thereby it should not be difficult to get support from family audiences. Jolly LLB 2 in all possibilities will be Akshay Kumar's fourth consecutive film to earn over Rs 100 crore at the Box-Office and emerge as a successful venture. The film has the potential to surpass Rowdy Rathore (Rs 134 crore) to emerge Kumar's biggest hit till date however a very good trend on the weekdays is essential for the same to happen. The film has tight economics and should be a profitable venture for all associated by the end of its run.